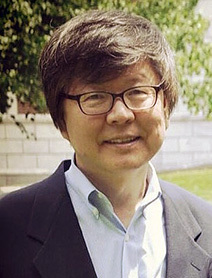 Cho’s research interests lie in the intersection between computational/mathematical statistics and deterministic/stochastic operations research, with a focus on theoretical foundations and conceptual/methodological developments in quality engineering. Specific application domains include robust parameter design, deterministic/stochastic process capability analysis, statistical convolutions, Six Sigma, healthcare, and military operations research. Krenek, R., Cha, J., Cho, B.R., and Sharp, J.L., Development of Statistical Convolutions of Truncated Normal and Truncated Skew Normal Distributions, Journal of Statistical Theory and Practice, to appear. Goethals, P., Boylan, G., and Cho, B.R., “Broadening the Damage Function in Modeling an Array of Military Applications,” Military Operations Research, 20(1), 39-63, 2015. Boylan, G. and Cho, B.R., “Robust Parameter Design in Embedded High-Variability Production Processes: an Alternative Approach to Mitigating Sources of Variability,” International Journal of Production Research, 51(15), 4517-4538, 2013. Boylan, G., Goethals, P., and Cho, B.R., “Robust Parameter Design in Resource-Constrained Environments: An Investigation of Trade-offs between Costs and Precision within Variable Processes,” Applied Mathematical Modeling, 37, 2394-2416, 2013. Goethals, P. and Cho, B.R., “Designing the Optimal Process Mean Vector for Mixed Multiple Quality Characteristics,” IIE Transactions, 44, 1002-1021, 2012. Goethals, P. and Cho, B.R., “Reverse Programming the Optimal Process Mean Problem to Identify a Factor Space Profile,” European Journal of Operational Research, 215, 204-217, 2011.